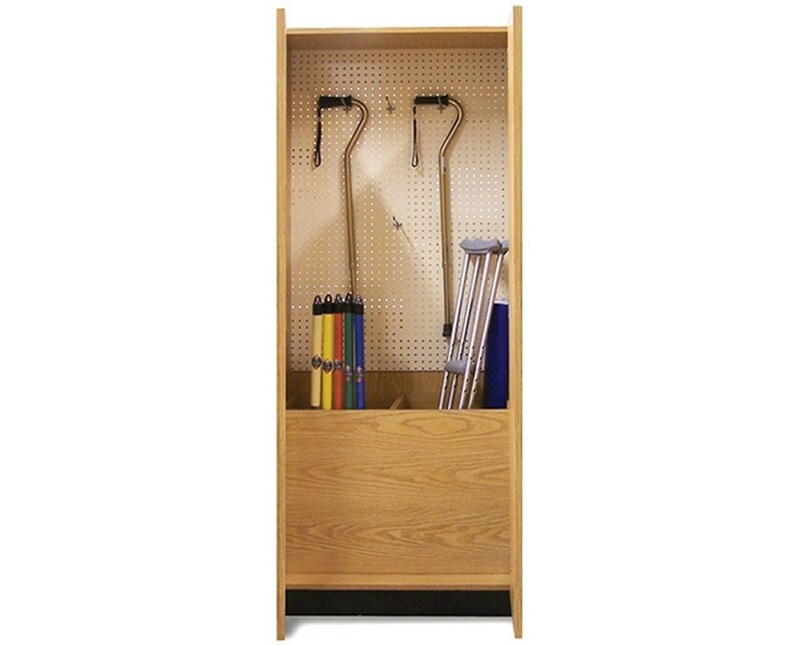 The Hausmann Industries Thera-Wall™ Therapy Storage System Cabinet with Storage Drawers is a medical storage device designed to store various exercise equipment and is a perfect choice for any physical therapy or rehabilitation facility. 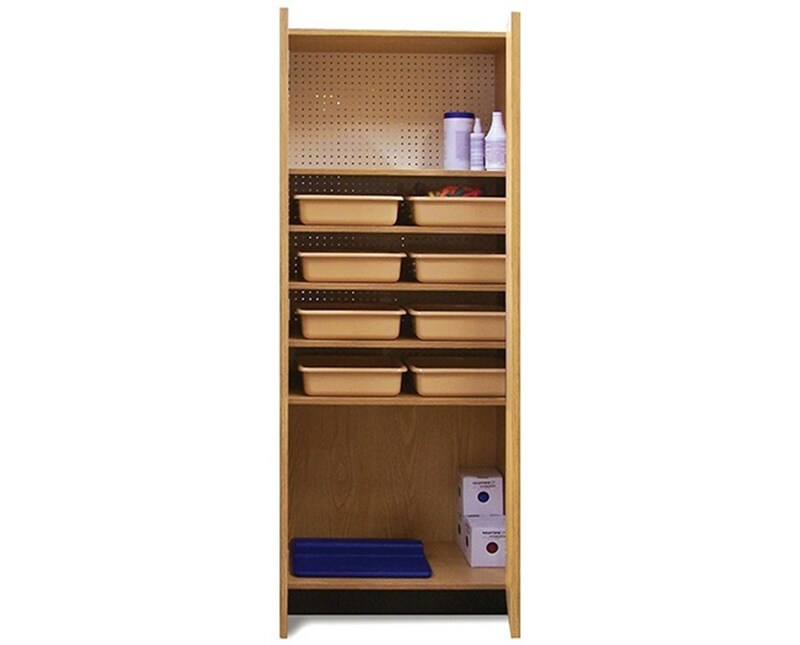 Made of Oak laminate, the System Cabinet with Storage Drawers have two (2) equipped hinged locking doors with 3mm PVC High-Impact edging on all door fronts. 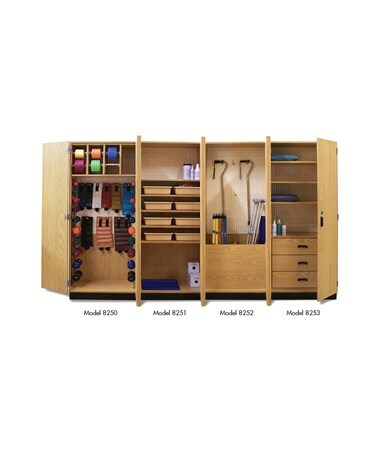 It features three (3) laminate storage drawers, behind the doors, and three (3) laminate adjustable shelves. 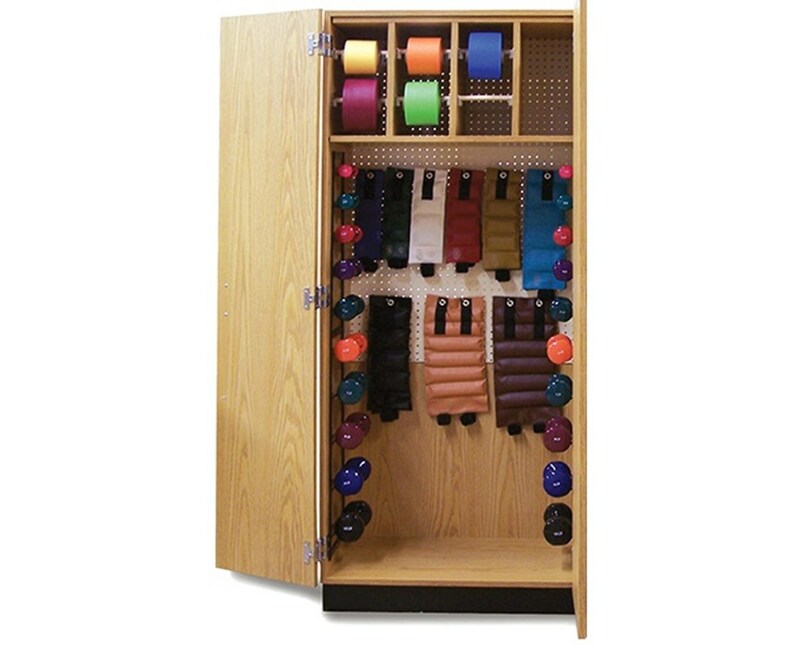 The Hausmann Industries Thera-Wall™ Therapy Storage System Cabinet with Storage Drawers provides the user the choice to mix and match which cabinet model to purchase and install together. 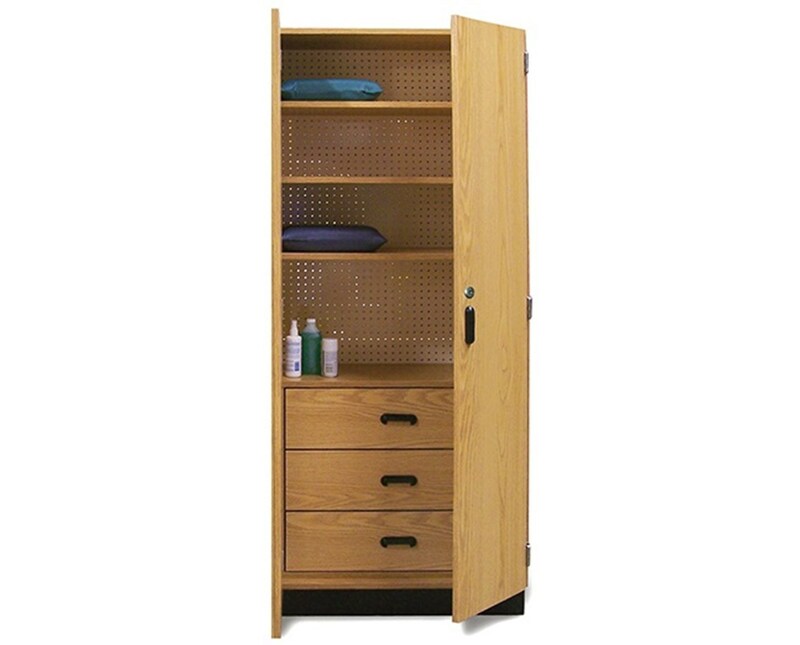 Please note that each modular cabinet has to be securely attached to the wall but can be detached moved if necessary. 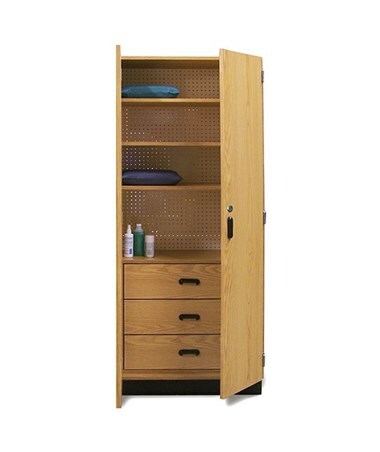 It comes in an overall size of 32" W x 22" D x 78" H and a weight capacity of 300 lbs.